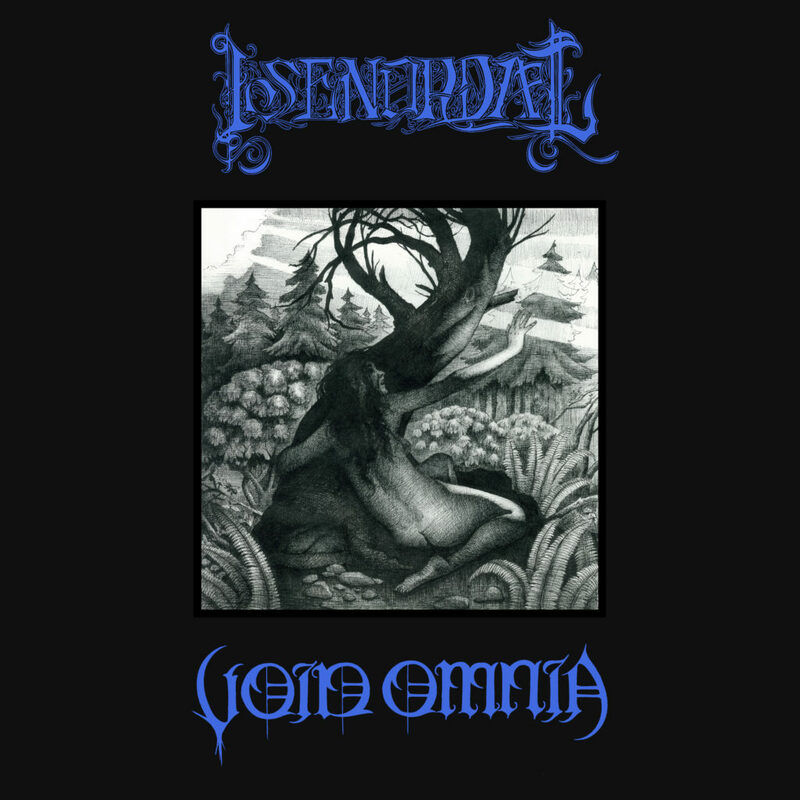 Seattle-based blackened funeral doom/neofolk ensemble ISENORDAL has teamed up with Oakland-based cosmic black metal heathens Void Omnia for a split release set for official unveiling this weekend. Stream the split courtesy of Cvlt Nation at THIS LOCATION. The recording will be available June 10th on 12″ vinyl from Vendetta Records and on tape from Eternal Warfare and can be preordered digitally from the bands HERE or HERE. 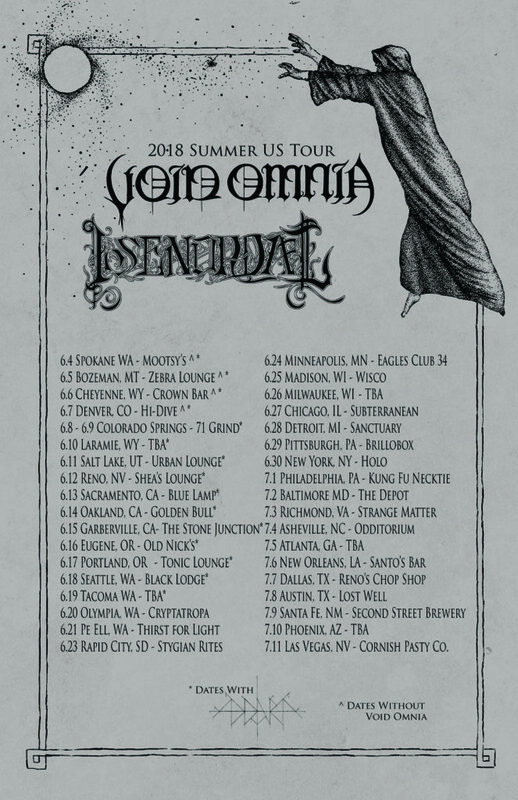 The split comes in conjunction with ISENORDAL’s massive US tour with Void Omia. Currently underway, the journey commenced on June 4th in Spokane, Washington and will make its way through over three dozen venues, coming to a close on July 11th in Las Vegas, Nevada. See all confirmed dates below. 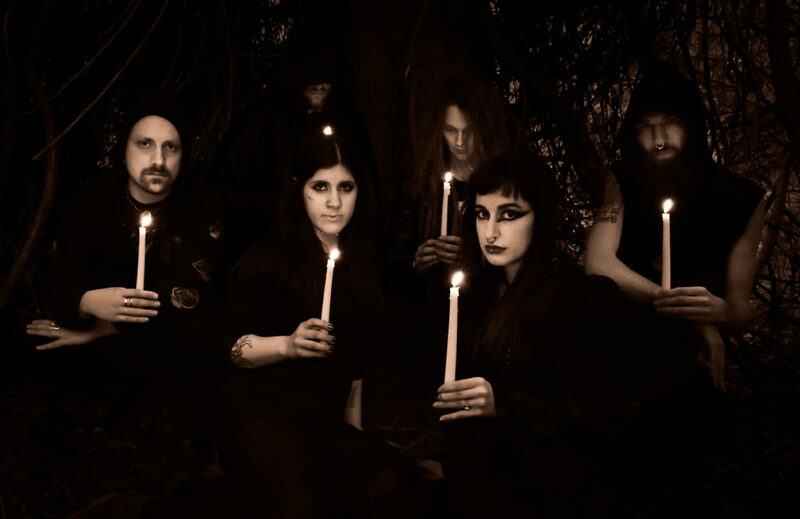 View the tour teaser, created by Chariot Of Black Moth HERE. In related news, ISENORDAL released their stunning Spectral Embrace full-length via Eternal Warfare Records last week. Recorded and mixed by Paurl Walsh at Ex Ex Studios in their home city and mastered by Brandon Busch, on this record, the band’s traditionally melancholic themes are expressed through warmer, acoustic sounds, featuring virtuoso viola and cello performances and unprecedented harmonic complexity. ISENORDAL’s folk music creates the sense of being transported to a dark and magical place. Order Spectral Embrace at THIS LOCATION where the record can be streamed in full.